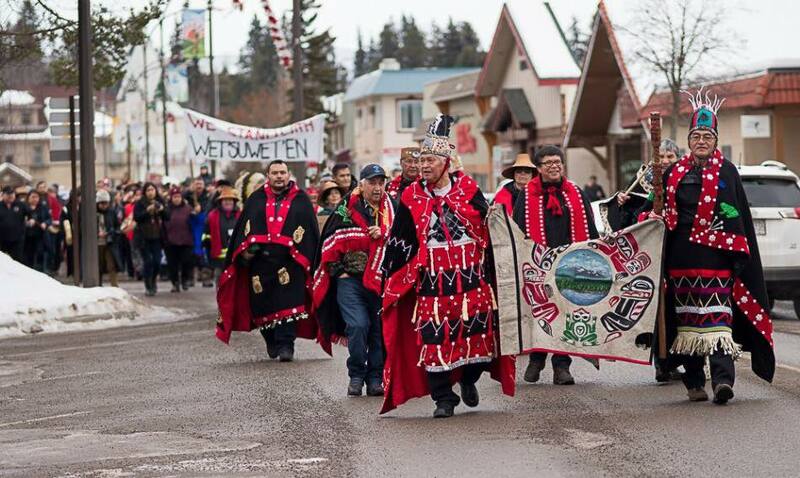 Chiefs from the Coast, Interior and Northwest converged in Smithers this week to demonstrate their support for the Wet'suwet'en Hereditary Chiefs. Chiefs from the B.C. 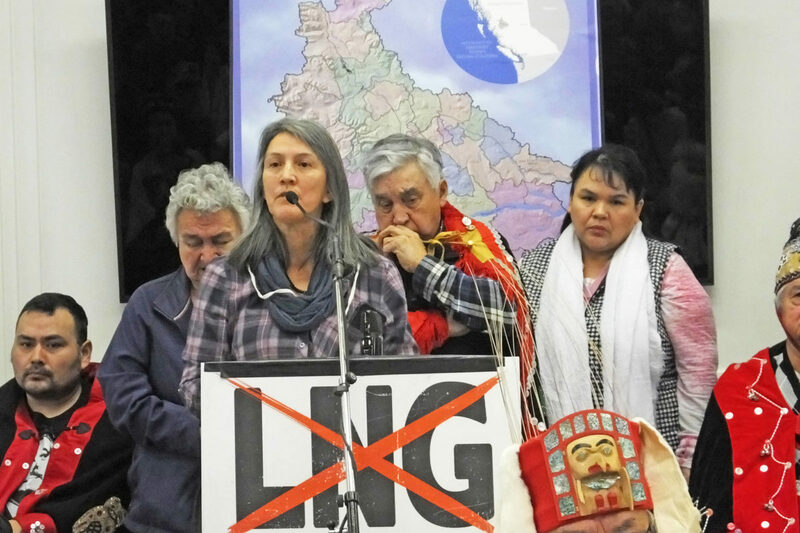 coast, Interior and Northwest converged in Smithers this week show support for the Wet’suwet’en hereditary chiefs’ opposition to the Coastal GasLink natural gas pipeline. Over 200 packed the Dze L K’ant Friendship Centre in Smithers to hear from the Chiefs, and Unist’ot’en and Gitdumden members. 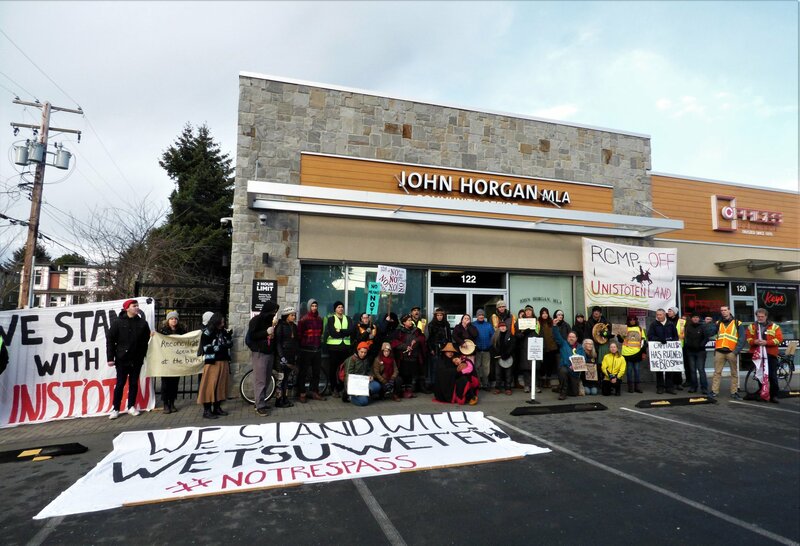 "Today's show of support from our neighbours and allies proves the Wet'suwet'en do not stand alone. "We the hereditary chiefs are the title holders and maintain authority and jurisdiction to make decisions on our unceded lands," said Wet'suwet'en hereditary chief Na'Moks. You can watch a video of the press conference HERE. Demand that the Canadian government revoke permits for this fracked gas pipeline and respect Wet'suwet'en jurisdiction. Wet'suwet'en are steadfast in opposing any pipelines on their Yintah. Take one minute to make a call to the relevant provincial and federal Ministers. This link will connect you directly to their phone lines and there is a sample script. The Wet'suwet'en Access point on Gidumt'en territory has been calling for international actions in solidarity. "This is not over. We are living out our laws on our lands. We are Wet’suwet’en Strong. Stand with us." Statement from Unist’ot’en: FORCE IS NOT CONSENT. Unist'ot'en Yintah is a place of healing. It is home to Wet’suwet’en people seeking refuge from colonial trauma. People recovering from addiction. People reconnecting with the land. Our chiefs love our people and want them to thrive. We would not send our ill and healing people to war. We would not tell our people to fight on a day of mourning.